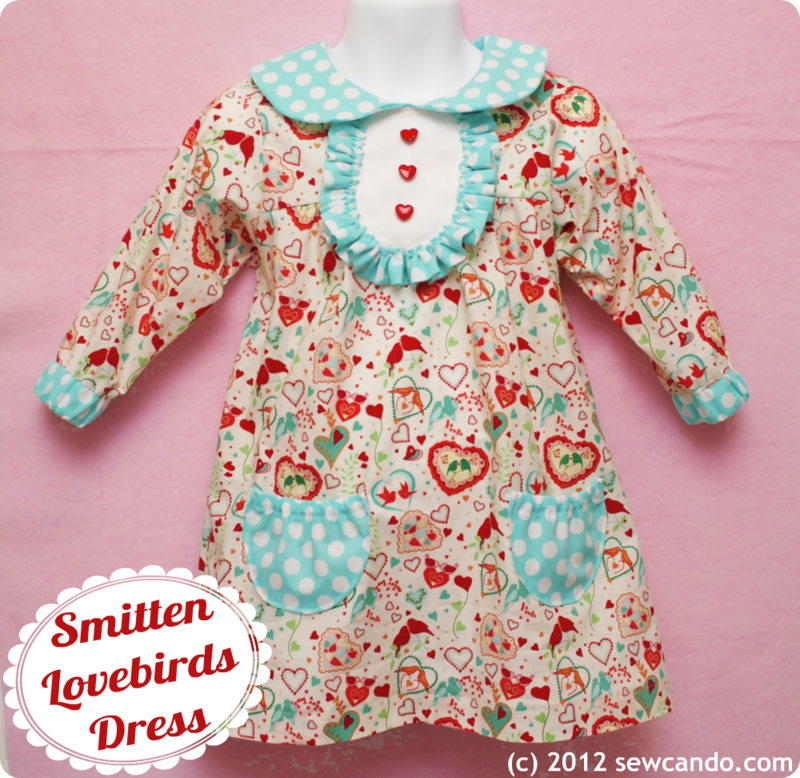 With so many wonderful comments & features about my Smitten Lovebirds Dress recently, a tutorial was definitely in order. 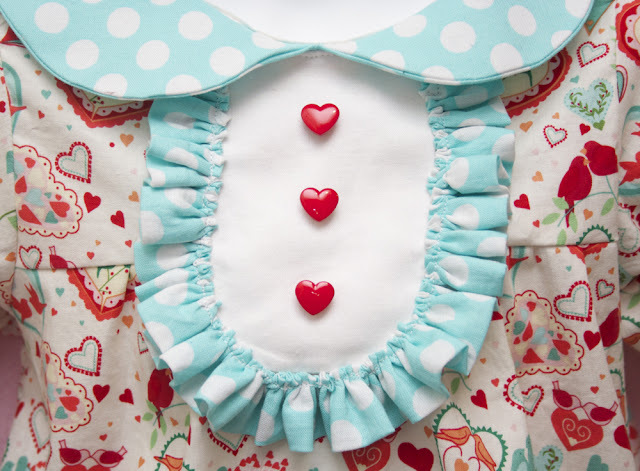 So here's how to make a little dress you can be smitten with too! 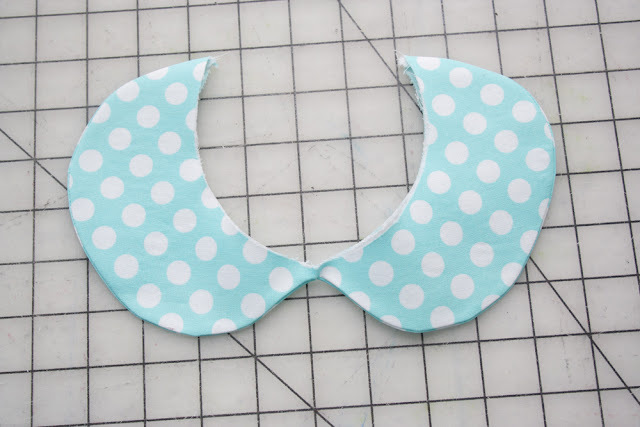 I also used the collar pattern from the same Kwik Sew book, with woven, fusible stabilizer as a middle layer in the collar so it would hold it's shape nicely. 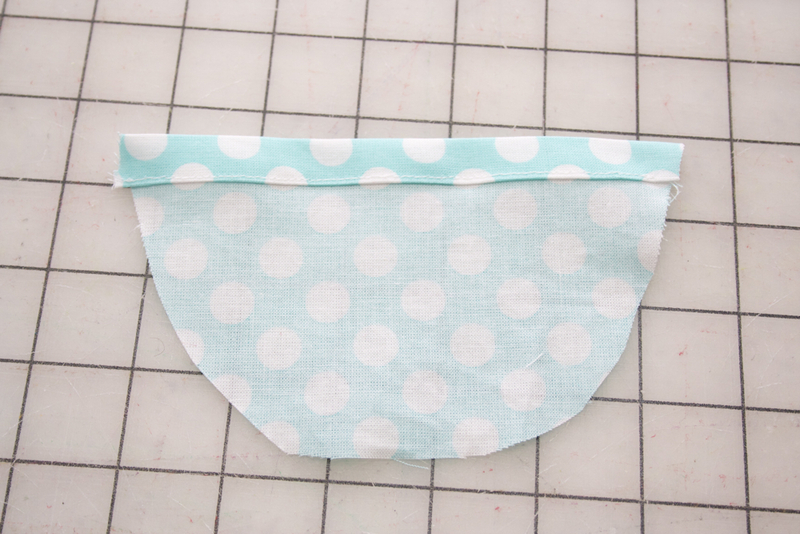 After turning right side out & ironing smooth, I topstitched around the seam. 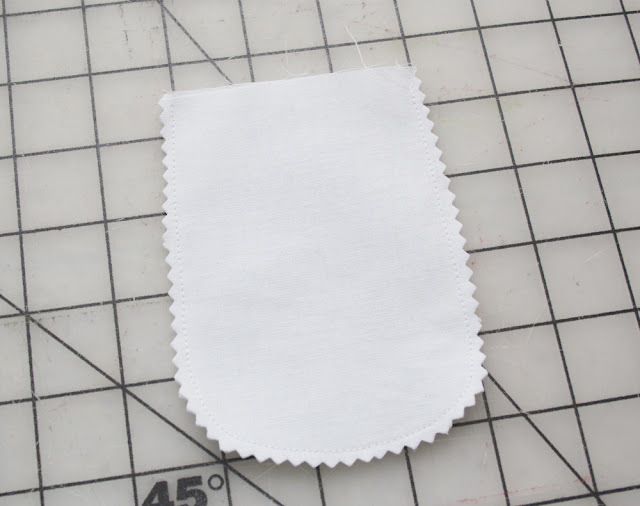 I made the placket from muslin by making a U-shape that was 5 inches long by 4 inches wide (basically wide enough to be 1/3 of the front and about 2 inches below the front seam). 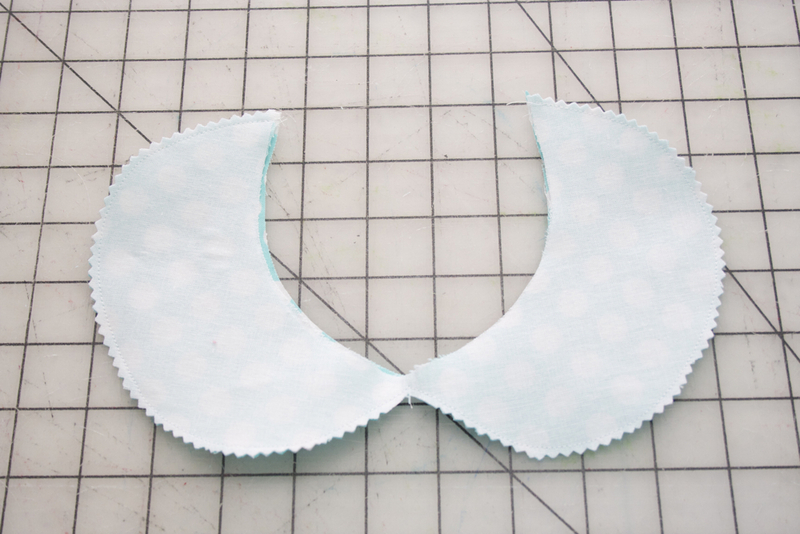 I sewed two layers together, leaving the top open, clipped around the curves and turned right side out. 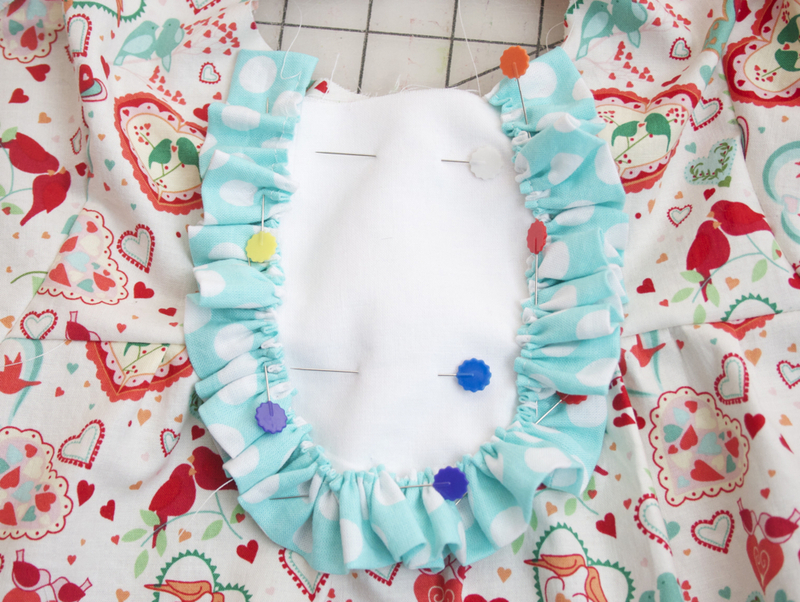 Then I pinned the ruffle around the placket so the edges would overlap, then pinned and topstitched all the layers together. I lined up the collar along the front center of the dress and attached them together with a narrow bias tape. To make the coordinating sleeved casings, I cut strips from the contrasting fabric that were as wide as the sleeve edge and 2 and 1/2 inches high. 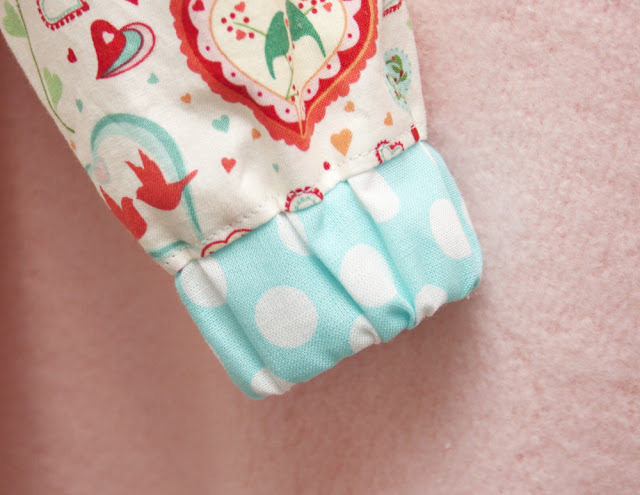 I folded them in half lengthwise with the wrong sides together and lined up their raw edges with the raw edge on the right side of the sleeve and sewed them together with a 1/2 inch seam allowance. I topstitched the raw edge down and inserted some 1 inch wide elastic that was 1 inch smaller than the casing length and stitched the ends down. Then I sewed up the side seams of the sleeves and dress. 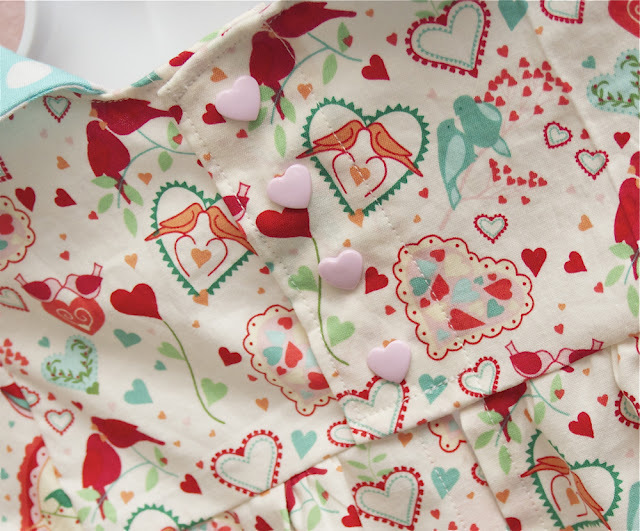 And to press in my plastic heart snaps on the back using my snap press. Using a nail & a hammer makes the holes to press the snaps through. 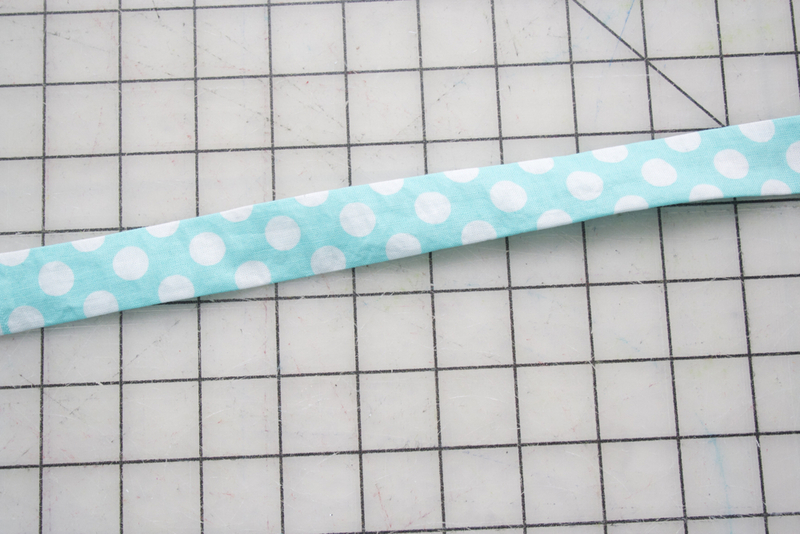 More details on how to use snap press/pliers can be found here. I didn't have photos of every step along the way so I hope I've been clear on how to put this together:) Thanks for being smitten with my Smitten Lovebirds Dress! OMG how cute. I absolutely love this dress. Will probably be making it for my daughter for Easter. Oh my that's a helpful tutorial! Thank you for providing the links to the source materials you drew your inspiration from! If my printer could be trusted not to vomit toner all over the place, I would print this tutorial out. I'll have to settle for bookmarking it, thank you so much OMGLOLs! Cheryl is just DARLING!! I just love love it! That is just sooo precious! I adore the colors you picked! This is so adorable! Love it! Dropping by from the Check Me Out Saturday Linky Party. This is so cute!! Thanks for sharing the tutorial. Visiting from Lolly Jane Boutique Link party. SOOOO incredible! I love the collor and pocket details! Your dress is just lovely. 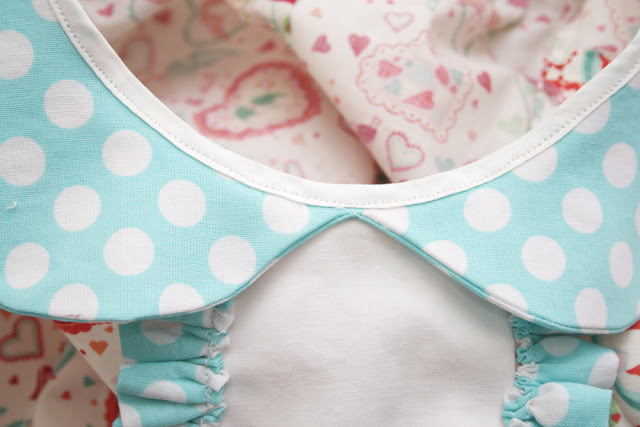 Im inspired to try that bib detail.thanks! darling! thanks for linking up to Make it Monday! I've shared it on the Brassy Apple FB page! This is super cute! I enjoyed my visit on your pretty blog today! I'm over on DearCreatives.com stop by anytime & link up too. That is just plain gorgeous! 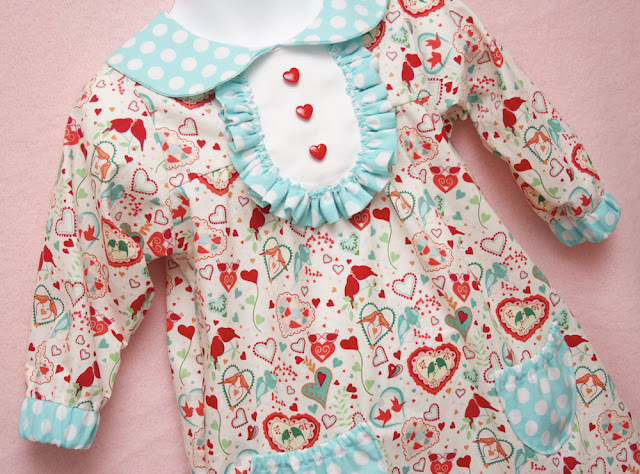 Any little girl would love to have that!! Could this be any more adorable??? Oh my gosh! So cute! Thanks so much for sharing at Taking A Timeout Thursday! Thanks for sharing this cute dress at Dwell on Fridays! 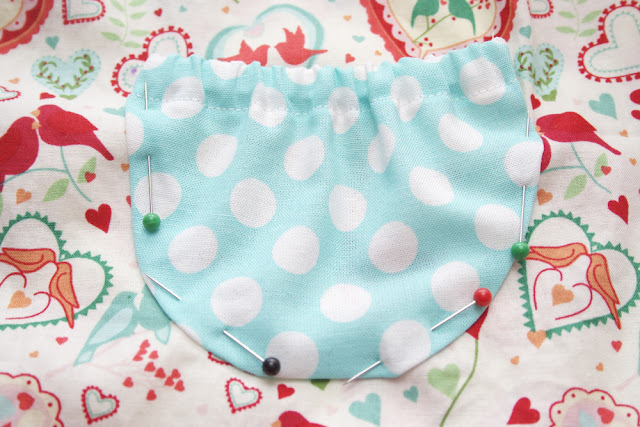 I love your sewing projects! 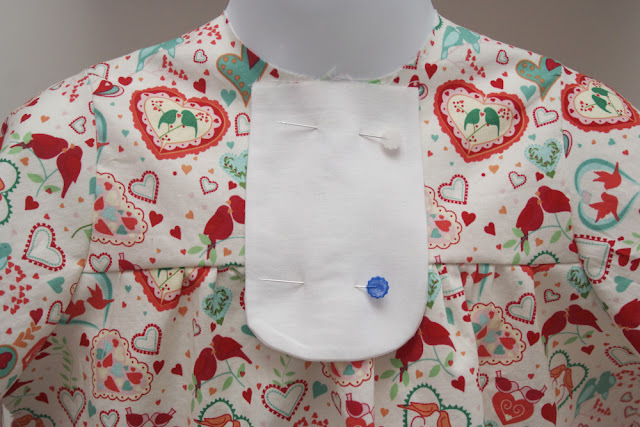 Great tutorial for your gorgeous, GORGEOUS dress!! Cheryl, this is so gorgeous!! 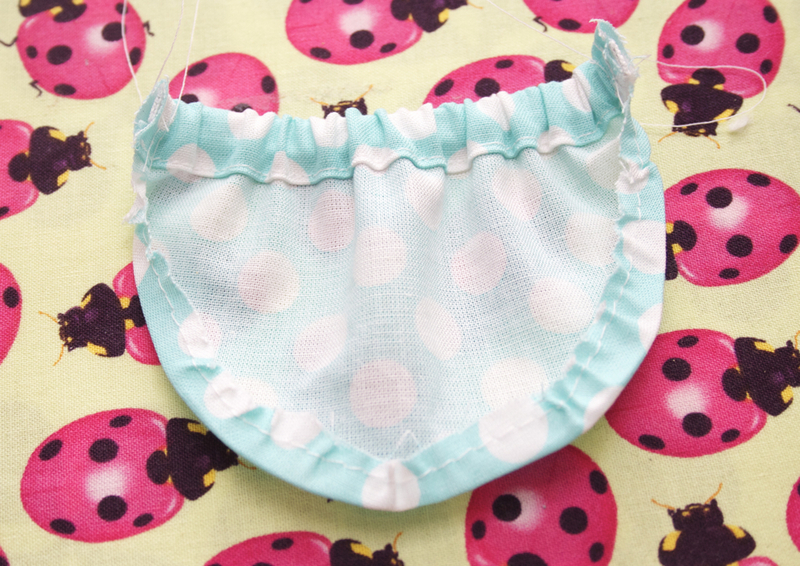 love the fabric and the aqua blue trim!! Seriously.. this is sooo stinking adorable.. 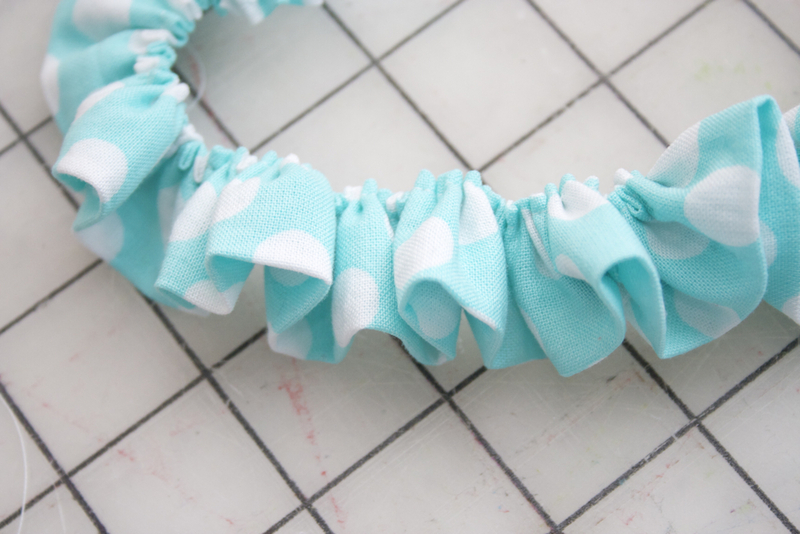 I just adore all the sweet little ruffles and little blue accents! Thanks so much for sharing with the Pink Hippo Party... can't wait to see what you share next! Thanks for linking up to last week's Tuesday Confessional. You've been featured so stop by and grab a brag button! Thank you so much for sharing your creativity and talent on “A Little Birdie Told Me…” Tuesday at Rook No. 17! This week’s party is already in full swing. Hope you’ll join us! A wonderful dress! 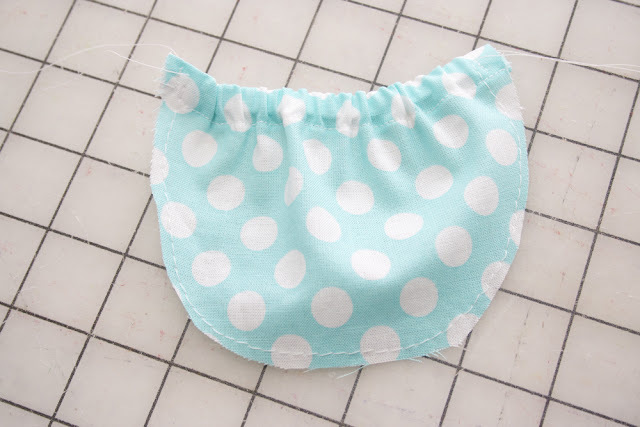 Thank you for the master class, be sure to sew my little girl something like that.